More than 250 bikers came together on March 19 to outride classroom hunger. 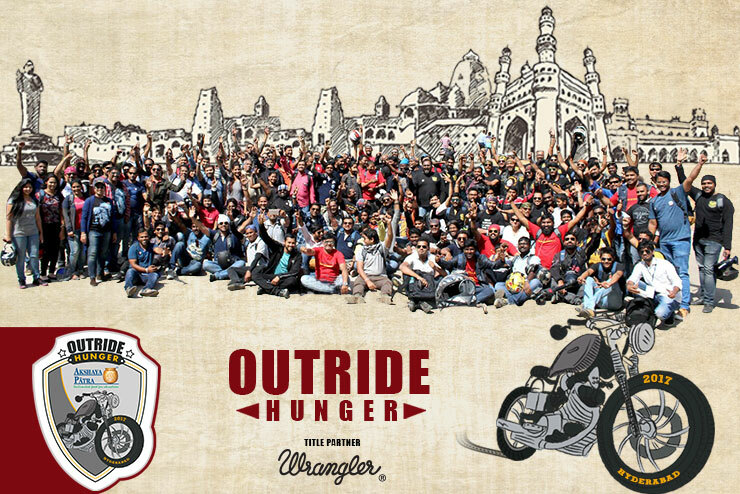 The third season of Outride Hunger, Akshaya Patra’s annual biking rally which aims to spread awareness about classroom hunger, took off on March 19, 2017 (Sunday) with hundreds of bikers riding for a cause. The enthusiastic bikers assembled at Akshaya Patra campus in Hyderabad to show their support through their passion – to ride. They covered a distance of 33 kilometres starting from Akshaya Patra’s Banjara Hills campus, cruising through well-known areas of the city, like the Necklace Road, HITEC City to reach the Gachibowli Indoor Stadium where the event concluded. 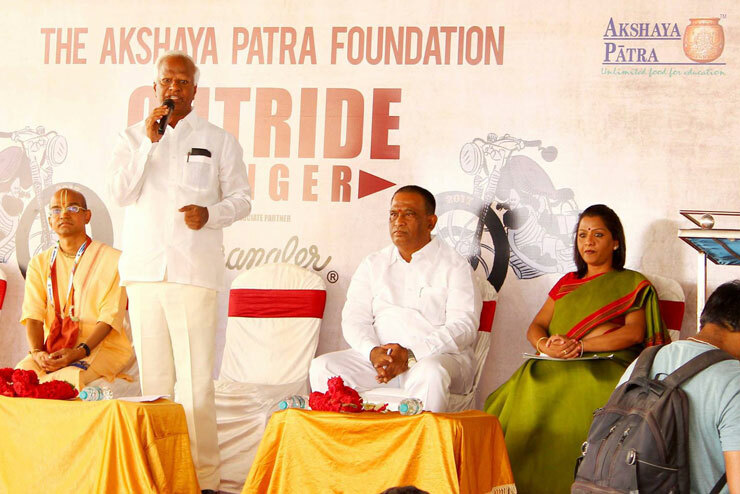 The event was flagged off by Shri Kadiyam Srihari - Honourable Deputy Chief Minister of Telangana in the presence of Shri Satya Gaura Chandra Dasa - President, The Akshaya Patra Foundation, Telangana and Andhra Pradesh. The other dignitaries present at the event were Smt G Vijayalakshmi - Honourable Corporator, Banjara Hills; and Shri Venkateswara Reddy - Chairman, Sports Authority of Telangana. They applauded the Foundation for bringing together the biker community for social initiatives and also extended their support to provide hot and nutritious meals for school children. At the finishing point of the rally, we had Mr Navdeep, Tollywood actor who shared a message about Akshaya Patra’s initiatives and his ardent support for Outride Hunger. 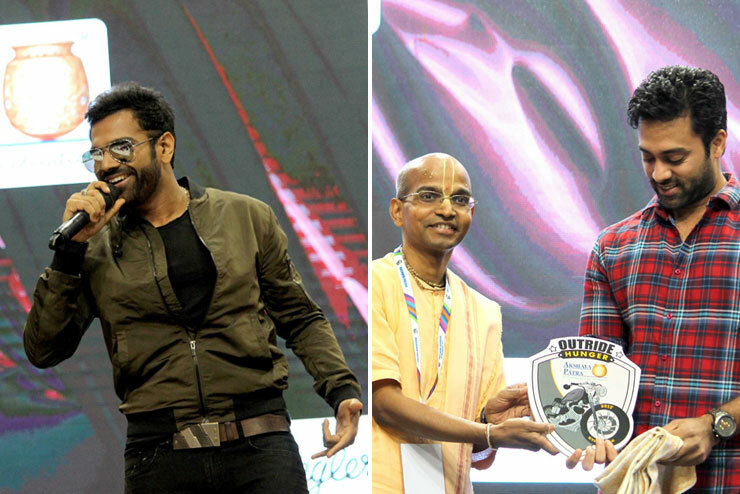 The bikers were also entertained with a musical performance by Mr Sreeram Chandra, Indian Idol Season 5 Winner.